Ofcom today gave the go-ahead for Everything Everywhere to use its existing spectrum allocation for 4G mobile services in the UK. Ofcom's decision means Everything Everywhere – formed from the merger of Orange and T-Mobile – could offer a 4G network as early as September 2012 over its 1800MHz frequency. Everything Everywhere had already been running 4G trials in Cumbria. The mobile operator recently launched a 4G roll-out campaign called 4GBritain, calling on the government to hasten the provision of 4G mobile data services in the UK. A report from Sky News claimed Everything Everywhere's full-scale 4G services would launch in October. 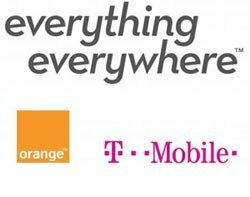 The Sky News report claimed Orange and T-Mobile would drop their individual branding to fully embrace the Everything Everywhere name. A spokeswoman told Computer Weekly: "It is well-known that we ran a brand review last year. The outcome of that brand review is confidential. Yesterday, the secretary of state for media, culture and sport, Jeremy Hunt, confirmed that the spectrum auction for the two frequencies freed up by the digital television switchover – 800MHz and 2.6GHz – would occur in December. This will give other UK operators the chance to build their own 4G networks. Ofcom’s concluded there will be no material risk that consumer benefits will be outweighed by a distortion of competition. But Everything Everywhere’s rivals still believe allowing the network to launch first gives it an unfair advantage and could lead to further delays to December’s auction. “We are frankly shocked that Ofcom has reached this decision,” said a spokesman from Vodafone. “The regulator has shown a careless disregard for the best interests of consumers, businesses and the wider economy through its refusal to properly regard the competitive distortion created by allowing one operator to run services before the ground has been laid for a fully competitive 4G market. All of the operators have had their part to play in delaying the auction. T-Mobile was the first to take legal action in 2008 after the proposed use of the 2.6GHz spectrum for 4G. O2 and Vodafone have also threatened to take the process through the courts, as they are unhappy Ofcom has set aside a portion of the spectrum for mobile operator 3. Vodafone also warned it would litigate against Ofcom if it gave Everything Everywhere the go-ahead for the 4G services. However, a Vodafone spokeswoman said the operator had yet to confirm if it was going to see through the threat.